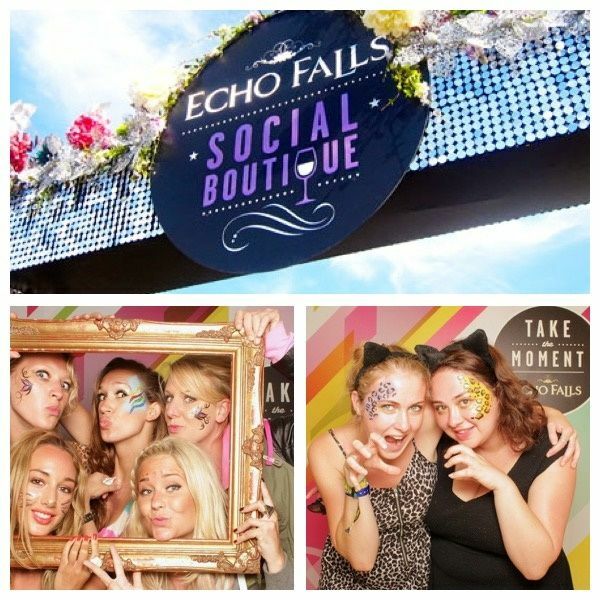 Aims – A wine bar activation to promote Echo Falls, we were the main attraction in the activation alongside female djs and a photo booth. Campaign set up – Campaign set up – We set up a pamper zone within the social boutique dome. We also offered to theme all the staff, press and pr’ s with face and body paint and eyelashes to fit the ‘ wilderness theme’ which created great impact and gained lots of coverage. Results – A huge increase in wine sales due to our suggestions and over a thousand treatments conducted with what was a small team. Our treatments were the main attraction within the experience and ensured they had constant traffic and footfall in the unit. Treatments – Braiding, Express makeovers – retouch focusing on eyes and lips, Face/Body Art and Glitter designs and Express manicures – file, shape and paint. Aims – To celebrate the launch of Impulse’s fragrance with Charlie XCX it was for competition winners, press and bloggers to gain coverage. Our treatments were part of the festival themed event. Campaign set up – We set up an indoor salon in a boat house with multiple stations for hairstyling, makeup, glitter and nails. 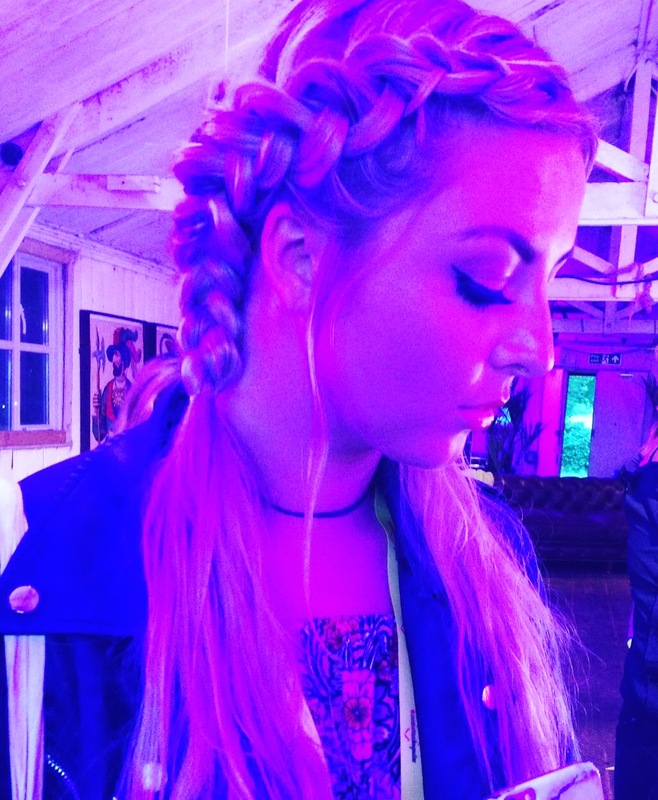 Results – We conducted 160 treatments braiding and glitter make up were the most popular. The activation was fully booked from when we opened until the end and fitted really well with all the activities. Bloggers and press posted lots of pics of their results online. Location – Glastonbury public side, Isle of Wight festival, Rewind festival and backstage at events such as Radio Ones Big weekend, Latitude and Leeds. Team – Varied but normally 12-20 staff at each main event. Treatments – Offering dry styling experiences to our salon customers in our public salons and hundreds of celebrities and artists backstage. We designed hair styles tailored to promote the key products they wanted to focus on. 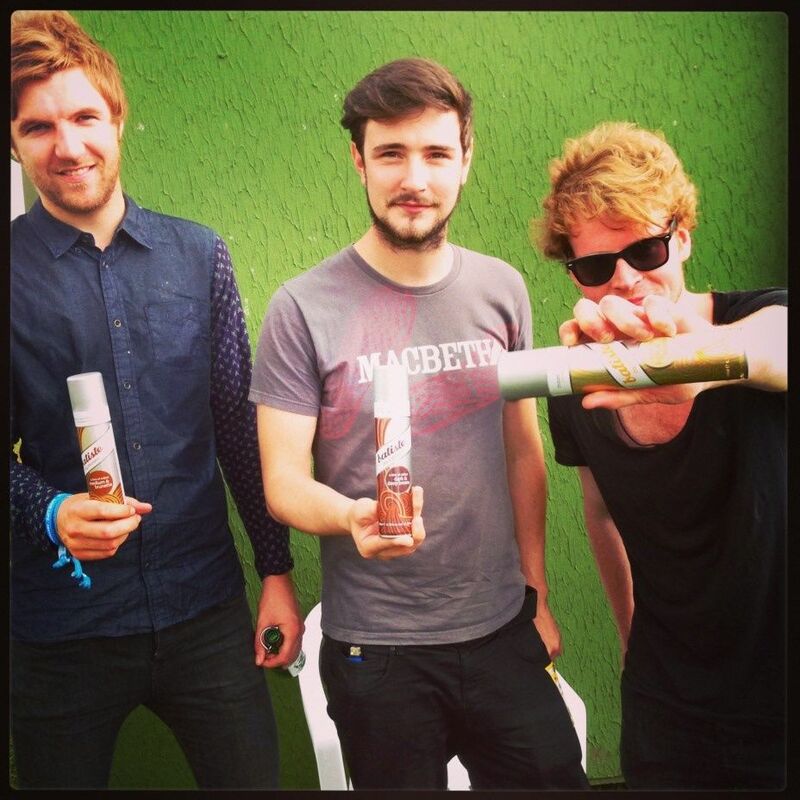 Aims – This was to promote their new dry shampoo hint of colour range, XXL plumping powder and Pixie Lotts branded can. They were looking to gain exposure to these markets, sampling to the public and goody bags to the artists, PR content – including photos, celeb comments, social media drafted up and handed to them for use. 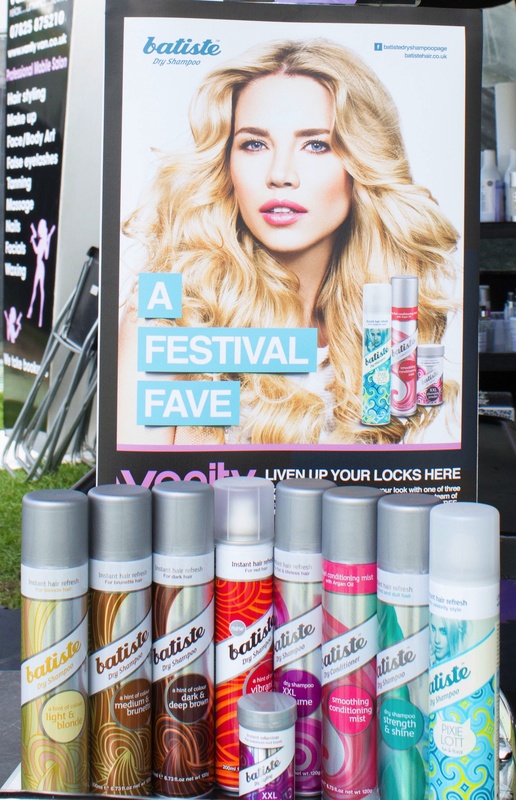 Campaign set up – They were featured throughout our alfresco salon set ups in 175,000 capacity festivals such as Glastonbury and featured in exclusive back stage salons with us at Radio One and others. We had their products on display and bright educational posters up all over the salon. Results – 2014 season alone – ½ million footfall and impressions, over 15,000 directly promoted to, 3000 one to one clients treatments conducted 20% of those were celebrities, artists and presenters. 50 press boxes, 400 goody bags to artists, 9 competitions with signed goody bags, each competition generated 4000 retweets and 500 favorites. We delivered 81 facebook updates, 186 tweets, 230 instagrams and 3 blogs. We secured them 1 tv feature, 7 magazine articles, 12 newspaper articles, 6 online articles and 16 blogs. Print articles estimated to have a value of – £81,703 the AVE of this was £294,468* with a net circulation of 17.5 million. Regular customers for the 2014 season included Lily Allen, Disclosure, Clean Bandit, Rudimental, Twin Atlantic, Enter Shikari, Kodaline, You Me At Six, The 1975, Gorgan City, Hozier and the Kooks.